Why Get Your Dentures At The Center For Dental Excellence? 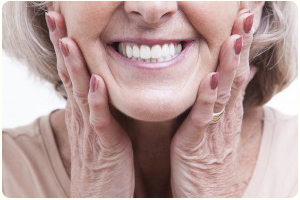 Quality – Not all dentures are created equal! At the Center for Dental Excellence, your dentures will be made from the highest quality materials by the most talented dental artists. Your beautiful new teeth will look completely natural, allowing you to smile confidently again. Affordability – Most dental insurances cover the cost of teeth removal and dentures. In other cases, patients have the option to use their health savings or flex spending accounts. We also offer 0% financing plans, and accept all major credit cards. Come see us for your free consultation, and speak to one of our Financial Coordinators about the best affordability option for you. Lifetime Checkups – That’s right! Your future checkups and adjustments are included when you see us for conventional dentures. 100% Satisfaction Guarantee – To show you how important your satisfaction is to us, we back our dentures with a full guarantee. If you are not completely happy with your new teeth, we simply ask that you give us a chance to make things right. Removable Partial Dentures – These dentures are a great option for patients who are missing some teeth, but still have plenty of natural teeth. Fixed Partial Dentures – These are sometimes also called permanent bridges. Unlike the removable partial dentures, this option stays permanently fixed in your mouth. We use a combination of crowns and sculpted synthetic material, so no one can tell the difference between your artificial teeth and your natural ones! Complete Dentures – These are for patients who have lost all of their upper or lower teeth. Complete dentures also have the option of being fixed in place using implant stabilization. How Do I Get My Dentures? At the Center for Dental Excellence, we begin the dentures process with an examination during your Free Consultation. At this time, we make sure you’re a strong candidate for dentures. We’ll review your options and answer any questions you may have. While our treatment is customized to each patient’s unique needs, the overall process of getting your custom-fitted dentures typically follows these steps: First, we take an impression of your mouth. During subsequent visits, we take additional impressions with increasing levels of detail. These detailed impressions ensure that your dentures will fit you properly and comfortably. Next, we create a prototype of your dentures, which is used to fine-tune your personalized dentures for the best possible fit and appearance. The prototype will give you a sneak preview of your new, improved smile! Finally, your dentures will be custom-made, and you’ll get to wear them home! We will see you back for follow-up visits to adjust your dentures as needed in order to ensure the best and most comfortable fit possible. Regardless of the type of dentures that you choose, you will never experience a period of time without teeth. At The Center for Dental Excellence, nothing makes us happier than improving the lives of our patients. Schedule your Free Dentures Consultation with us today! Watch our most recent webinar about dentures below! Because this is a replay, type your questions below as they come to mind. Submit your questions when you are done watching the video and our staff will follow up with you promptly. Call 705-866-0122 now or CLICK HERE to schedule your free, no-obligation examination, x-rays & consultation.